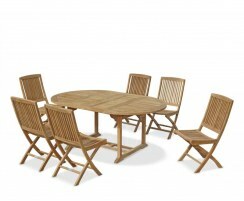 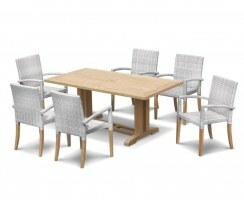 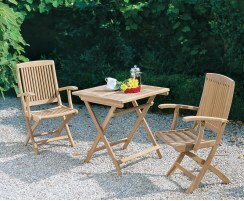 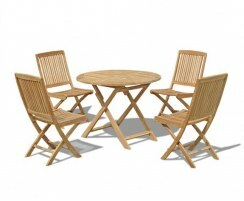 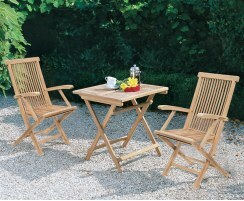 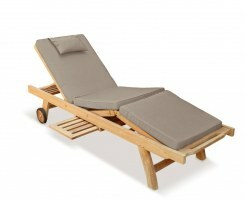 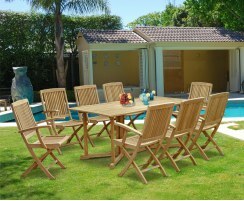 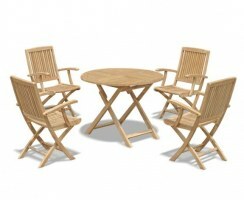 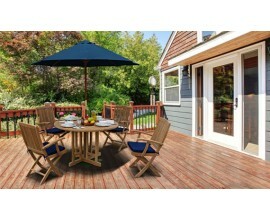 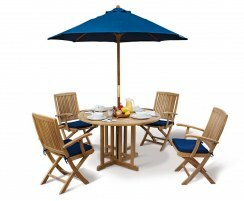 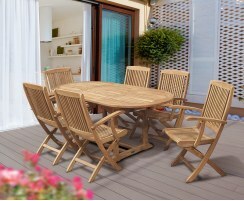 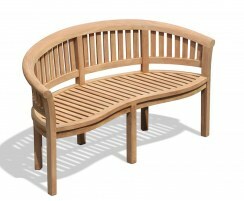 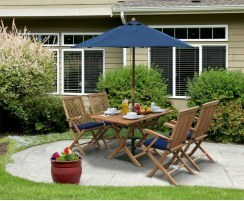 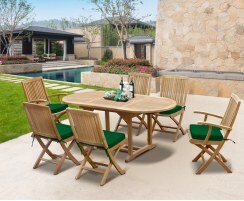 Consider one of our Rimini teak dining sets for contemporary alfresco dining in style and comfort. 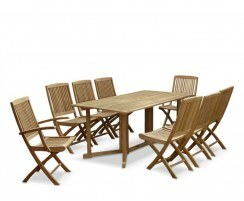 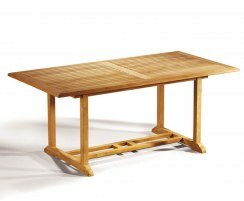 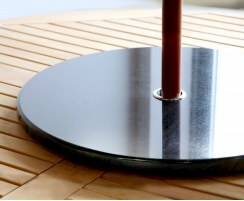 Browse the range today to find the perfect dining set to suit your space. 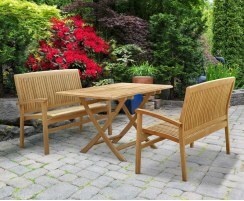 Crafted from the finest grade-A teak, these Rimini dining sets can remain outdoors all year round with virtually no maintenance. 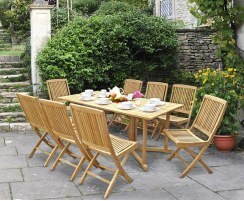 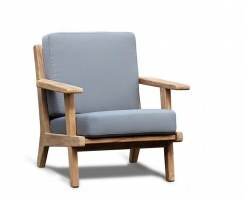 Featuring folding chairs for practicality when you need to store them away to reclaim your space, these sets are guaranteed to last for many years to come, representing excellent value for money. 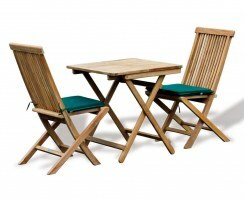 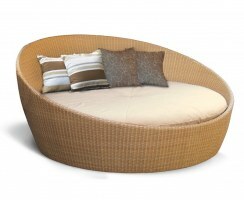 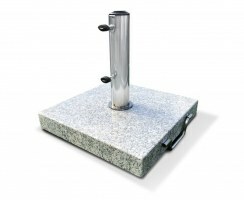 View our range of Rimini dining sets.